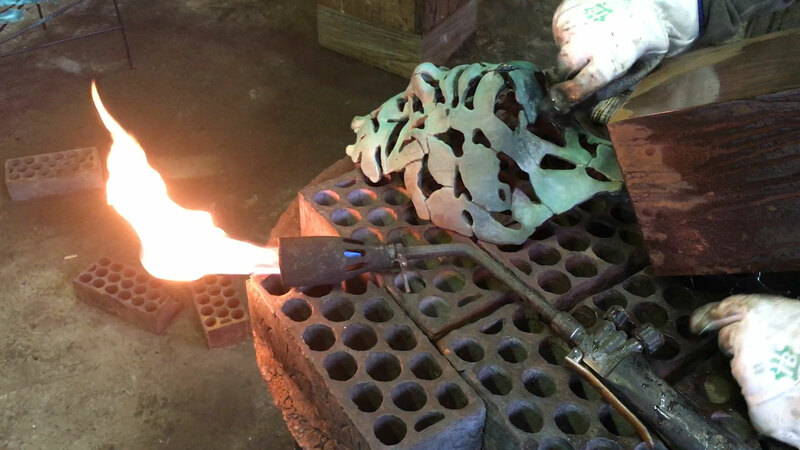 It is always a spectacle to give the final patina to the bronzes, water, acids and fire, to apply the final patina so that the sculpture has the best appearance. This is the part when your work really becomes what you wish it to be. In this video, I am giving the Essence of Youth its final touches of green rusty patina, the results are spectacular. I like the process of casting.